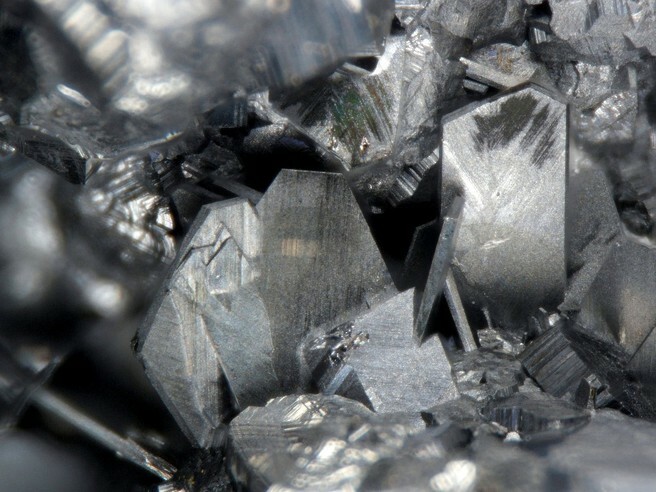 Sternbergite: Mineral information, data and localities. 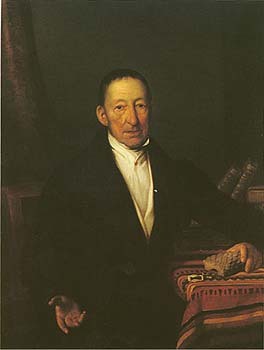 Named after Count Caspar Maria Sternberg (1761-1838), botanist and a founder of the National Museum of Prague (Czech Republic). A rare mineral occurring in Pinchbeck brown (yellowish brown with metallic lustre), flexible(! ), mm-sized tabular crystals. It and its dimorph argentopyrite are often pseudomorphed to iron oxides which collapse to dust when poked with a needle. On the way to the oxide replacements, partial pseudomorphs of pyrite or marcasite after either dimorph confused early workers. Pyrargyrite 4 photos of Sternbergite associated with Pyrargyrite on mindat.org. Acanthite 3 photos of Sternbergite associated with Acanthite on mindat.org. Proustite 3 photos of Sternbergite associated with Proustite on mindat.org. Silver 1 photo of Sternbergite associated with Silver on mindat.org. Argentopyrite 1 photo of Sternbergite associated with Argentopyrite on mindat.org. Stephanite 1 photo of Sternbergite associated with Stephanite on mindat.org. Haidinger (1827) Edinburgh Journal of Science: 7: 242. Haidinger (1828) Royal Society of Edinburgh, Transactions: 11: 1. Palache, Charles, Harry Berman & Clifford Frondel (1944) The System of Mineralogy of James Dwight Dana and Edward Salisbury Dana Yale University 1837-1892, Volume I: Elements, Sulfides, Sulfosalts, Oxides. John Wiley and Sons, Inc., New York. 7th edition, revised and enlarged, 834pp. : 246-248. American Mineralogist (1969) 54: 1198. Neues Jahrbuch für Mineralogie, Abhandlungen (1986) 154: 207-222. Neues Jahrbuch für Mineralogie, Monatshefte (1987) 458-464.
ⓘ Silver Phantom Mine ? Dong Zhensheng et al. (1996). In: Tu Guangzhi, Ed. : Low Temperature Geochemistry, Science Press (Beijing), 32-42. Ramdohr, Paul, 1969, The Ore Minerals and their Intergrowths, Pergamon Press, p. 371. Matsukuma, T. (1962) Journal of the Mining College, Akita University, Ser. A, 2, #2, 20-59. Petruk, W. (1975). Mineralogy and geology of the Zgounder silver deposit in Morocco. The Canadian Mineralogist, 13(1), 43-54.
ⓘ Gottes Hülfe in der Not Mine (Gottes Hülfe Mine) ? ⓘ Fräulein Christiane Mine ? Cronstedt, A.F. (1758): Försök til en Mineralogie, eller Mineralrikets Uppstälning. Stockholm 1758; Neumann, H. (1985): Norges Mineraler. Norges geologiske Undersøkelse Skrifter 68 p. 23). [Der Aufschluss 1995:4 p163-180]; Okrugin, V. M. (2004). Miocene to Quaternary center volcanic, hydrothermal and ore-forming activity in the Southern Kamchatka. In Metallogeny of the Pacific Northwest (Russian Far East)-Tectonics, Magmatism and Metallogeny of Active Continental Margin, Interim IAGOD Conference, Excursion Guidebook, Dalnauka, Vladivostok, 2004 (pp. 147-176). ROGULINA, L., MAKEEVA, T., PISKUNOV, Y. G., & SVESHNIKOVA, O. (2004). Первая находка платиноидов в рудах Майского золото-серебряного месторождения (Дальнегорск, Приморье). Dobrovol’skaya, M.G., Genkin, A.D., Bortnikov, N.S., and Golovanova, T.I. (2008): Geology of Ore Deposits 50(1), 75-85. 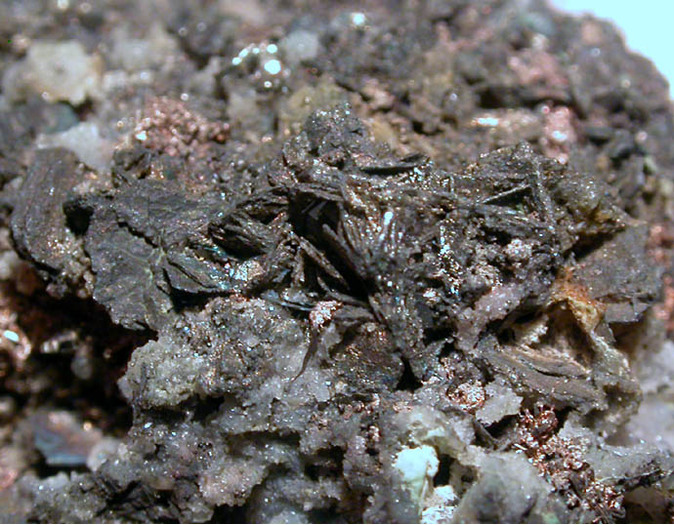 Jordi Fabre; Calvo, M. and Sevillano, E. (1995): Famous mineral localities: Hiendelaencina Guadalajara Prov. Spain. Mineralogical Record 23, 241-249. Burke, E. A., & Zakrzewski, M. A. (1990). 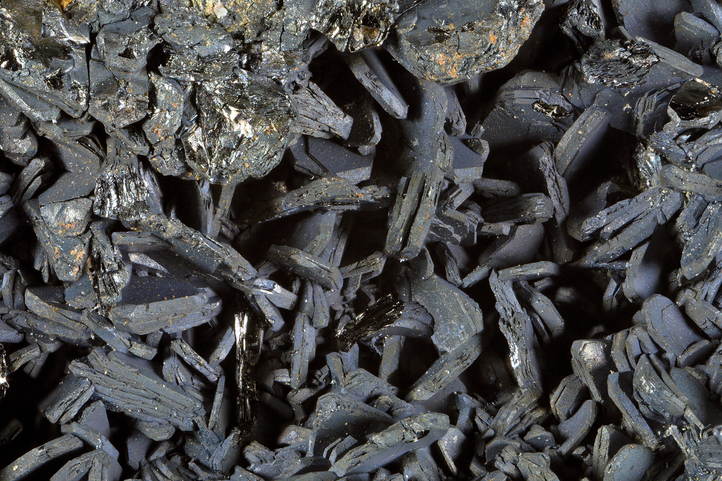 Herzenbergite and associated antimony minerals from Björkskogsnäs, Hällefors, Sweden. GFF, 112(1), 85-86. Anthony, J.W., et al (1995), Mineralogy of Arizona, 3rd.ed. : 381. Murdoch, Joseph & Robert W. Webb (1966), Minerals of California, Centennial Volume (1866-1966): California Division Mines & Geology Bulletin 189: 348.
ⓘ Terrible Mine (Silver Ore; Baltimore; Johnny Bull; Silver Cloud; Pelican vein) ?